The winter nights are only getting colder, so be sure to wrap up warm and drink some lovely hot cocoa, tea or honey with lemon, pop on a few winter tunes, and snuggle up under your soft blanket! With Christmas and the winter solstice on their way, let's take a few nights out and kick back as we chill out to these beautiful winter tunes! Continuing with my 6 Days of Winter Melodies series for the year of 2015, let's now take a look at a bittersweet ballad that will truly melt your heart with its story and tone. Are you ready for a song that is a little less warm than those we are used to at this time of the year? The fourth single to be released by Model-Idol unit KissBee, Hō de sagasu anata no ondo is the groups first winter ballad, as well as their first music video to completely feature their short drama of the same name. 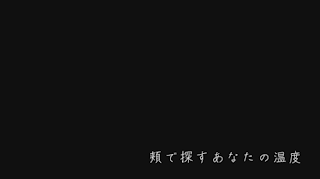 So, if you are looking to completely understand the MV in its entirety, definitely check out the 20 minute short movie that the song accompanies. 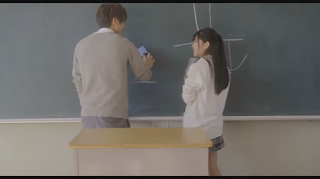 To put the story of the MV in a nutshell, the tale is a simple yet common idea that frequents many Japanese dramas, short novels, mangas and books; two girls, both good friends, happen to fall in love with the same guy in their class, and both are equally close to him. There is, of course, initial jealousy between the two, especially when the other happens to become closer to their object of affection. Eventually the two come to an understanding, and ultimately decided to let their crush choose between them, rather than letting their jealousy get the better of them. So, in order to settle this fairly, they ask him to meet the two at a certain time and place, and there he will choose the girl he likes the most. Seriously, you know the story. It's a tale as old as freakin' time. 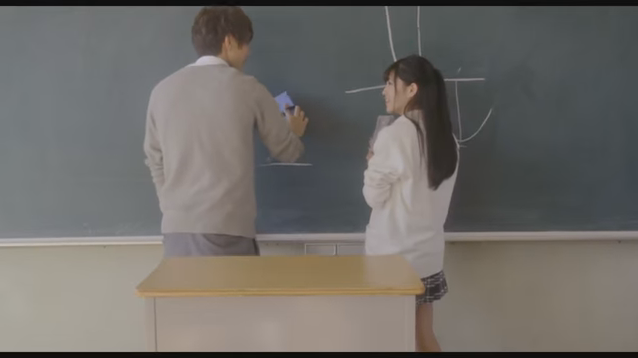 Regardless of the stories generic background though, I do think that Hō de sagasu anata no ondo is a sweet music video, and a rather nice drama. It's easy to do and even easier to create, sure, but it still allows the members of KissBee a chance to strengthen their acting as well as to produce something people will enjoy and find appealing, and yes, this is appealing. What better than a story we already know, but still anticipate the outcome to? Sure, some people hate these kinds of stories, ones that are recycled year after year with different girls and different studios, but for others it's nice to go back to an age-old concept and see how it plays out, to see who gets the guy and what happens to the girls and if their friendship happens to fall to jealousy, or if they patch up and get through it in the end despite both liking one guy. Honestly though, even if you don't like these types of stories, you can at least appreciate the effort and beauty of the music video/drama and the song that accompanies it. 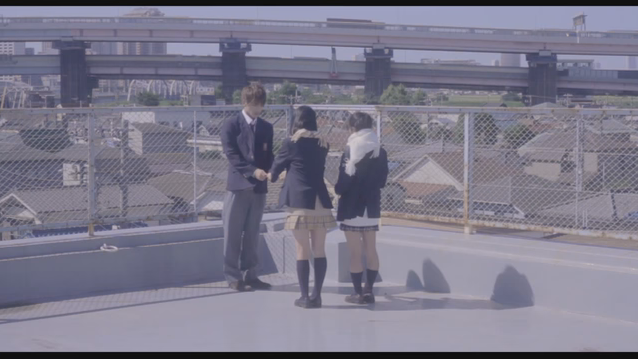 Hō de sagasu anata no ondo is a video, one that is well shot and beautifully lit. It has a gorgeous tone to it, and looks pretty damn professional for a group that's so new and indies. Given that KissBee are only about a year old, it was pretty delightful to see such a nice video come out from them that is pleasing to the eye as well as professionally displayed in both the acting and the camera work. 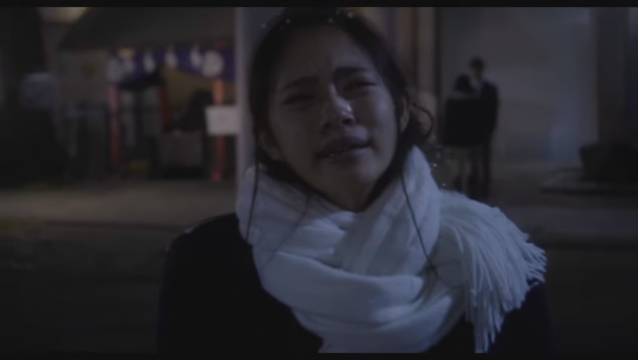 Honestly, I had no idea what I was getting into with this video when I first saw it, but after watching both the MV and its accompanying 20 minute drama short, I was blown away by the performance delivered by KissBee. The story, though overplayed, was a bittersweet yet fulfilling tale that had me crying at the end when a decision was made, and the song itself was a wonderful ballad that only enhanced the emotional quality of the performance given by this new yet highly talented group. 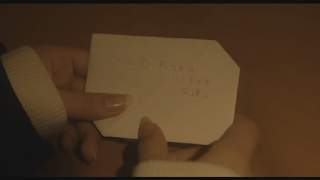 I would say that my only gripe with this film would be that it's overly generic, especially after watching the drama, and that it only contains clips from the short itself as opposed to containing both drama and member shots of the girls singing. It's something that I would have liked to have seen, however it isn't something that necessarily decreases the quality of the music video, either, but it would have been nice to see the 'idol' side of KissBee rather than just the professional side. Still, regardless of that, I do enjoy what the music video brings, even if it is a story I already know like the back of my hand. Wonderfully filmed, great to look at and beautifully sung, Hō de sagasu anata no ondo is both a video and song that I highly enjoy and one that has brought me back to the delight that is KissBee. This group has made amazing progress since their beginnings, and continue to go forward with each release, growing stronger as they go and only getting better. Here, they prove how professional and high quality they are, and they have certainly delivered a performance that allows us to see the bittersweet side to a winter romance, as well as the strength between two friends in love who refuse to sacrifice each other for the sake of a guy. It's sweet, it's heartfelt, and it's certainly something that I have enjoyed this winter. Hopefully, you can all enjoy it, too. This winter, will you give KissBee a chance, and possibly fall in love, too? Until next time everyone, please take care, stay warm, happy and healthy, and love Idols!